Weyfringe are an accredited service/calibration and sales centre for Axicon, world leaders in barcode verifiers, as well as a GS1 UK Solution Partner making no one better positioned to help you with your barcode verification requirements. A barcode verifier is a device that reads or decodes a barcode and grades the symbology against an established specification. 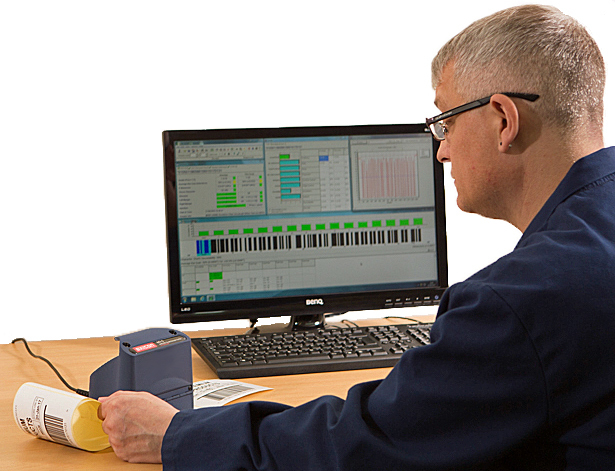 Barcode verifiers are invaluable to ensure that your barcodes are the required quality, helping to avoid rejection of your product or carton. Weyfringe offer FREE, no obligation demos of the Axicon range so you can see first-hand how easy and reliable barcode verification can be. Which barcode type should I be using? Does my barcode meet the required standard? Does my packaging allow sufficient space for the barcode? What colour barcodes can I use? I use so many barcodes how can I check they are all OK? How can I make sure I put the right barcode on the right product? How can I stop my barcode labels coming off? Why do my barcode labels have fault lines running through them?